For the framers of our Constitution, high courts, occupied a central position. They were conceived as a forum for adjudicating disputes under the Constitution, Central and State statutes before they moved to the Supreme Court; their jurisdiction was more extensive than the Supreme Court’s. In contrast to the American model of a bifurcated federal and state judiciary, our high courts resolve all disputes. The Constitution of India does not give a detailed description of the original jurisdiction of the High Court. It is accepted that the original jurisdiction of a High Court is exercised by issue of Writs to any person or authority including Government. Article 226 of the Constitution vests in the High Court the power to issue writs for the restoration of fundamental rights. This power of the High Court does not derogate the similar power conferred on the Supreme Court in Article 32 of the Constitution. The original jurisdiction of the High Courts also extends to the matters of admiralty, probate, matrimonial and contempt of Court cases. The High Courts have also full powers to make rules to regulate their business in relation to the administration of justice. It can punish for its own contempt. The appellate jurisdiction of High Court extends to both civil and criminal cases. In civil cases, its jurisdiction extends to cases tried by Courts of Munsifs and District judges. In the criminal cases it extends to cases decided by Sessions and Additional Sessions Judges. Thus, the jurisdiction of the High Court extends to all cases under the State or federal laws. Its jurisdiction can be enlarged by the Parliament and the State Legislature. The Parliament exercises exclusive power to make laws touching the jurisdiction and power of all Courts with respect to the subjects on which it is competent to legislate. It can also legislate on subjects enumerated in the Concurrent List. Likewise a State Legislature has power to make laws touching the jurisdictions and powers of all Courts within the Stare with respect to all subjects enumerated in the State List and the Concurrent List. But as regards the subjects in the Concurrent List the Union law prevails in case of conflict. A High Court has also the power of superintendence over all Courts and Tribunals except those dealing with the armed forces functioning in the State. This power has made the High Court responsible for the entire administration of Justice in the State. It is both judicial as well as administrative in nature. The Constitution does not place any restriction on its power of superintendence over the subordinate Courts. It may be noted the Supreme Court has no similar power vis-a-vis the High Court. How does Tribunalisation side-stepping the authority of HC? Tribunals have replaced high courts for disputes under the Companies Act, Competition Act, SEBI Act, Electricity Act, and Consumer Protection Act among others. In general sense, the ‘tribunals’ are not courts of normal jurisdiction, but they have very specific and predefined work area. These tribunals do not enjoy the same constitutional protection as high courts. Any person aggrieved by an order of an appellate tribunal can directly appeal to the Supreme Court, side-stepping the high court. This raises several institutional concerns. The enormous institutional investment to protect the independence of high courts is dispensed with when it comes to tribunals. Many tribunals still owe allegiance to their parent ministries. Critics say that Tribunals are also not as accessible as high courts. This makes justice expensive and difficult to access. Further, the justification of expert adjudication by tribunals disappears as many tribunals preside over by retired high court judges. In the initial years, several issues came to the Supreme Court after high courts grappled with those issues. However, now a direct right of appeal Tribunals directly conferred to the Supreme Court. This has sometimes changed the Supreme into to a mere appellate court. SC has become a final clearing house for every appeal under every statute. The Supreme Court should be a court of last resort deciding cases of the moment, and not a final forum with an all-embracing jurisdiction over disputes ranging from a custody battle to the scope of a municipal by-law. A backlog of over 58,000 cases in the Supreme Court precludes it from being a deliberative court reflecting over critical questions of law. It can affect the quality of the court’s jurisprudence. High courts are the training grounds for future Supreme Court judges. When high court judges deal with several cases under a particular area of law, they carry with them the benefit of their experience and insights to the Supreme Court. Critics say that when same high courts are side-stepped in favour of tribunals, Supreme Court judges hearing appeals from tribunals would have to deal with the finer nuances of disputes under specialised areas of law for the very first time. This is not ideal for a court of last resort. How did jurisdiction of high courts undermine by the Supreme Court? The jurisdiction of high courts is also undermined by the Supreme Court when it directly entertains various writ petitions. When the Supreme Court exercises original jurisdiction, it deprives the citizen and the state of the right to challenge potentially erroneous orders. This difficulty becomes even more acute when the Supreme Court takes on a legislative role by framing guidelines in the larger public interest. Neither the individual nor the state has an effective remedy to challenge these norms. There are several institutional benefits when a case travels from high court to the Supreme Court. The Supreme Court is wiser by a well-considered high court ruling. The Supreme Court is in a better position to resolve a dispute when it is confronted with two conflicting high court rulings on the same issue. In the triple talaq ruling, it benefited from prior high court decisions on the nuances of Muslim personal law. It must be ensured that the high courts should not lose their prominence in India’s justice delivery system. There is an issue of growing number of vacancies in India’s 24 high courts. 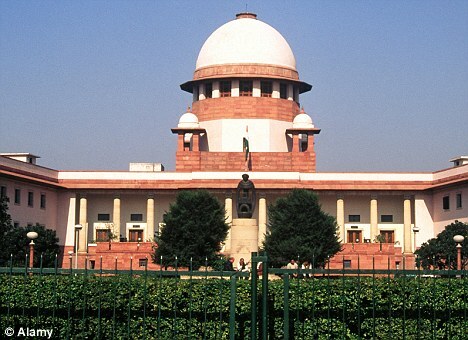 The dispute between the Supreme Court and the Union government on the Memorandum of Procedure is at the root of the vacancy problem. The Centre must move energetically on finalizing the MoP and clearing the vacancies. The way ahead may also lie in the creation of specialised divisions in high courts for tax, company law and environmental disputes.